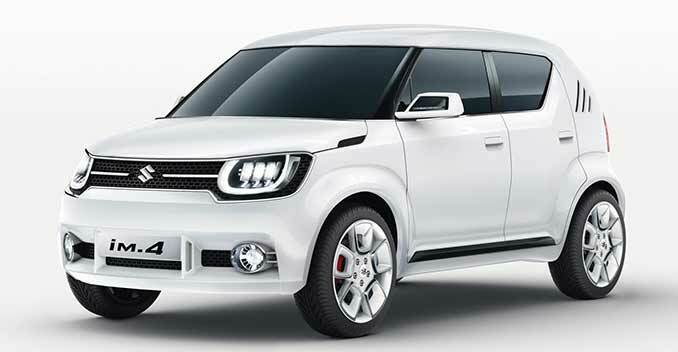 Suzuki has always had a thing for compact cars and even if you go down memory lane and check out cars from Suzulight, which was a brand used for the kei cars, you'll notice that making compact cars has always been in their blood. The iM-4 Compact SUV concept reinforces that lineage. The iM-4 concept is a mini 4x4 which showcases the company's intentions to enter that segment. The compact SUV follows the theme of 'Shape the Inspiration' and integrates Suzuki's DNA in the field of developing compact 4x4's with the latest technology. The idea behind these concepts is bringing in a lighter platform and a more thermal-efficient engine which they have done successfully. Suzuki's new-generation platform is designed to increase rigidity while reducing weight via a fundamental redesign of the underbody's structure and also optimising overall vehicle design, including parts mounted on the underbody. The result is, a significant improvement in fuel efficiency, safety, handling, stability, and NVH performance across the board. Moreover, Suzuki will streamline development by consolidating its existing four platforms to three and modularizing functional components. This will enable bringing out new cars in a more efficient way that can be tailored to fast-changing market demand. Now we come to the engine. Suzuki calls it the Boosterjet 1.0 and this one is used in the iK-2 concept. It is a 1.0 litre direct-injection turbo engine newly developed by Suzuki which saves fuel while not comprimising on driving pleasure. Fuel efficiency has been improved by reducing engine displacement, and output and torque are boosted with a turbocharger. It's as simple as that. It's interesting to see the direction in which Suzuki is working and we can see all this technology trickling down to India.